Since one week, I have a Launchpad Pro, and it seems that its a great controler for Buzz, with Snowglobe scalewalker, Polac's loaders very useful for the polyphonic aftertouch assignable everywhere, we have a perfect editor. I tried few hours the bundle version of Ableton live lite, cool but Buzz offers more possibilities with Scale walker and peer machines, much more , except for the lights but its not the most important. I don't know if many buzzers use it, but it will be cool to share templates/setups/ideas. The Joué looks like an amazing controller. Would love to get my hands on one. Yes, a video s'il vous plaît! Or even better, an entire gig! I'd love to see you in live action, Tinga. The Joue looks great. Have you ordered one? 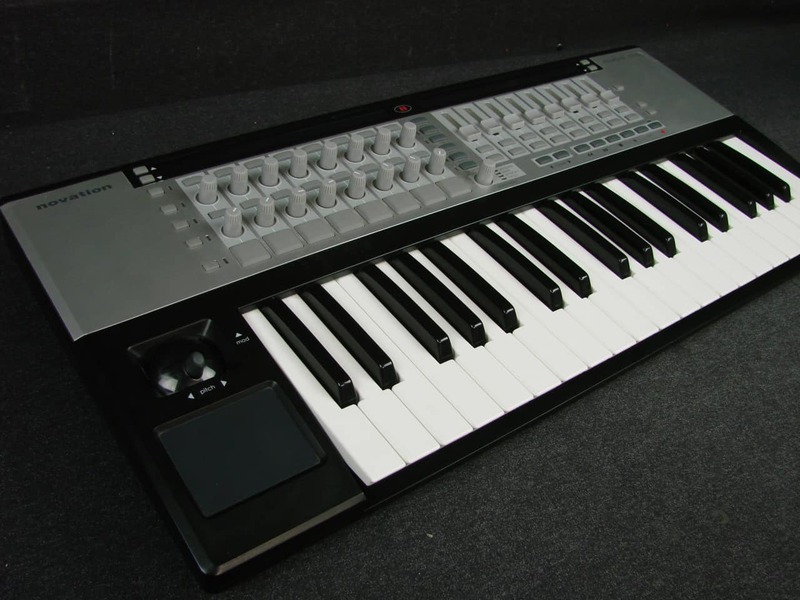 I have bought a Novation remote Zero SL which I hope to be able to use this autumn. Assume it uses the same Automap so maybe we can discuss and share setups. My dreamcontroller would be Bitstream 3x though. Those 8 buttons are very bad to press. But the programmability is great, can control anything via sysex. Yes, I have a Bitstream 3X, heavy like a tank. Very cool controllers! I love the idea of making expressive use of synths, and this is one of the strengths of buzz. I like Novation stuff too. Very impressed since I got my keyboard the Remote 37 SL. Which I am very happy with. I wanted a keyboard that wasn't too big, but large enough to do stride on piano, and with a lot of knobs and faders. The action is quite good. It's a fatar, I can't remember the exact series I think a tp6 or tp9. The key is not quite long enough, the actuation point is just at the end of the visible key, so there is no rear key dip. This is my only gripe since I was a piano player before. Also the springs are a bit stiff. I'm currently training as a manual machinist, and am hoping to trade out the springs for some customs that I will manufacture on the lathe. The 37sl also has 24 buttons, which I have used bome midi translator to map most of the functions of buzz. When I am pattern editing I am almost always using the 37sl. I only have to use the mouse and 10 key for a few things. I think the layout of this keyboard is fantastic. I use the drum pads to do instrument changes. With two templates I can map all of a large synth like Qsamo into the knobs and faders. The way I do expressive control, like the controllers in the OP, is that my right hand sits on an akai MPD26. This is my favorite of the MPD line by far. The 32 is too large, and the 226 etc. got rid of a lot of the functionality in favor of lighted pads, which was a huge mistake IMO. 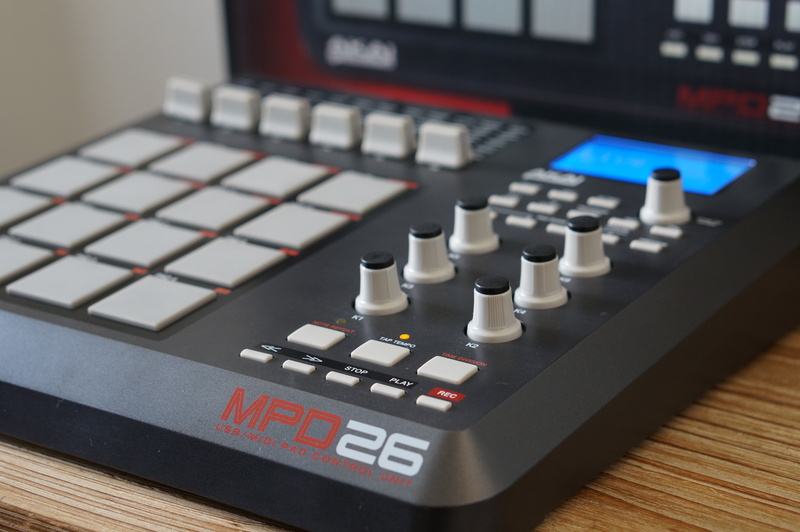 The MPD26 has 6 endless knobs that are under my right hand, and I can use them to control up to six parameters for the synth for expressive playing. I can control 2-3 parameters at a time using 2 fingers and the side of my palm. I only use the keyboard left handed, my right hand sits on the knobs and does expression. It's a weird style but it gives a lot of control. Last edited by onecircles on Wed Jan 30, 2019 5:05 pm, edited 2 times in total. Last edited by onecircles on Wed Jan 30, 2019 5:01 pm, edited 2 times in total. I have also a novation SL, but aftertouch is dead. 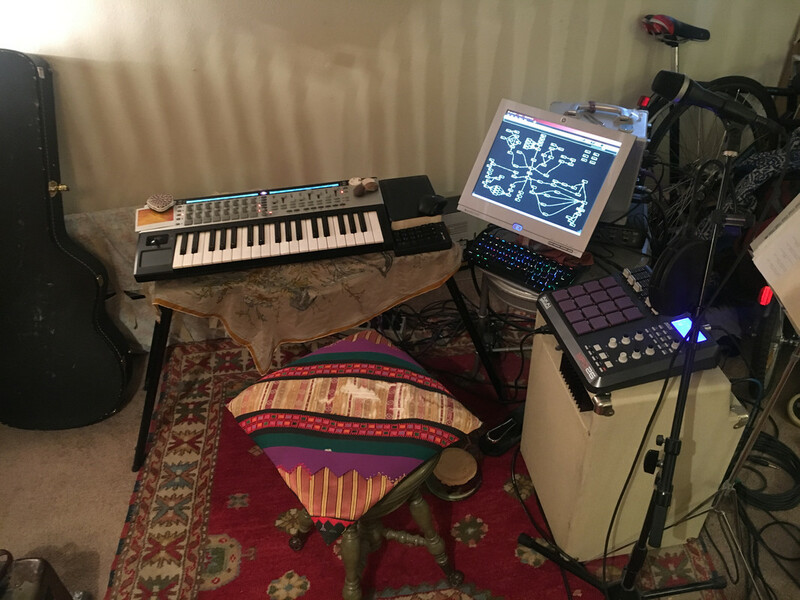 Cool setup, Qsamo is great with a Keyboard, and pads perfect to play with Buzz. This setup looks awesome! It would be cool to see a video of it in action. You know what? I haven't got any videos yet, but challenge accepted. I played two shows last year using buzz. But sadly my girlfriend didn't record them. One was with oshwa, the other with ohmme. The drummer from ohmme asked what program I was using, and like usual they hadn't heard of it. No one I've ever mentioned buzz to has heard of it. I didn't ever push the play button. I used buzz as a 96khz multi effects for my vocals and guitar and to do my levels, and parametric eq for feedback on my guitar. It was fantastic at this. My next show will be the first one with the "full band". A folktronica thing with guitar, vocals, synths, drums. I'm in a writing period, but on my next outing, I'll be sure to post a recording of me performing live with buzz. I say "challenge" because I have always found making videos very intimidating, but I need/want to do it, so thanks for asking.